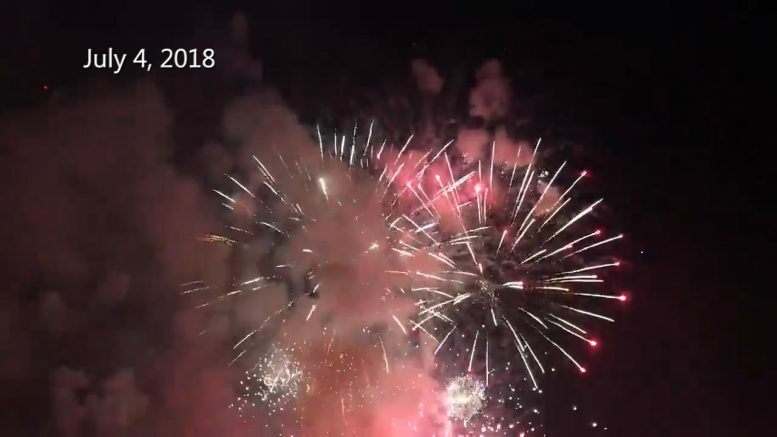 ALPENA, Mich. — Alpena is firing up a new campaign to raise money for one of the biggest nights and holidays of the year this summer. For another year, the Alpena Area Chamber of Commerce is raising funds to put on the 4th of July fireworks. The chamber is giving away glow–in–the–dark bracelets for a minimum $5 dollar donation to put on the annual night show. Chamber President Jackie Krawczak says they would like to raise $22,500 dollars, but the fireworks will only be as big as the people want it to be. Anyone can leave a donation at the Alpena Area Chamber of Commerce or City Hall.